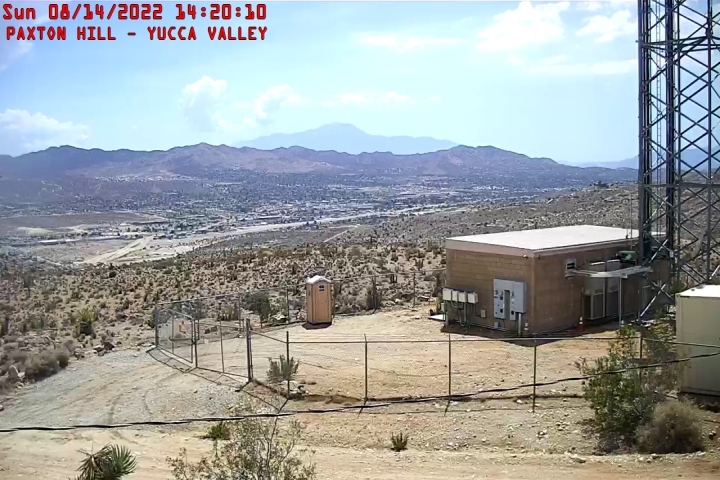 Latitude: N 34º 09' 13.01" Longitude: W 116º 23' 22.40"
This camera is a Sunba Pan-Tilt-Zoom camera that is controlled by the Morongo Basin Amateur Radio Club. You will notice different positions from time to time. For security reasons, we do not post the other cameras to this page. If you are with a government agency (Fire, Law Enforcement, NWS etc.) and need us to point the camera at something specific, please call Chris at 760-285-3560.